November 11 - Thankful for GOALS ACCOMPLISHED!!! Ricky looks at me & says, "Dont do this"
...but as you saw what I was thankful for yesterday, I was determined. But I promised him I had to walk a good 2 miles from the parking lot to the starting line & if my knee was bad, I'd not start the race. 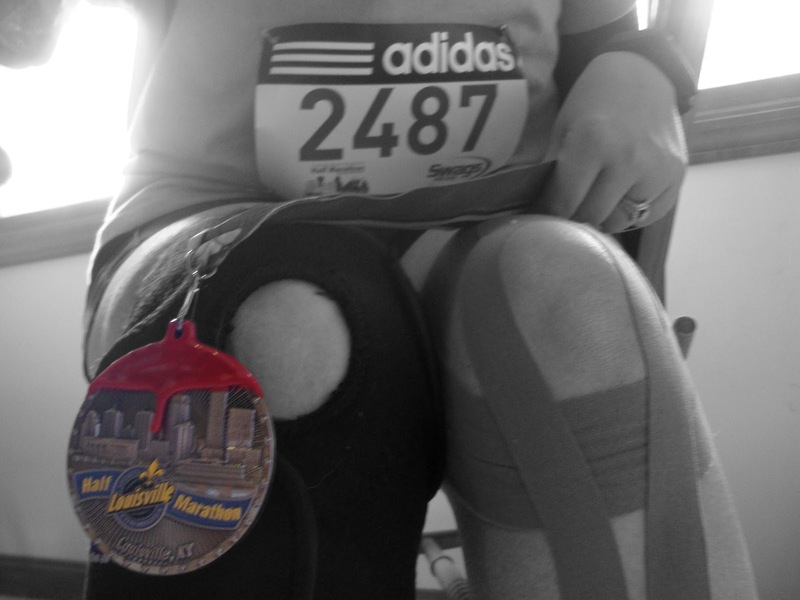 So I taped up the knees & headed out to Downtown Louisville. I ran into some friends beforehand & that helped calm me down before the gun fired. But soon, we were off, hitting the pavement. I was just trying to slow down - not push too hard - keep a steady pace that was do-able.... & it was working... for a little bit. I guess my downfall is stopping.. or moving... or both.. who knows. 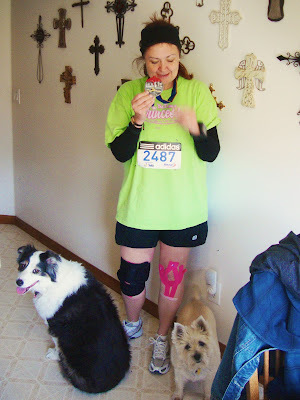 But as soon as I got started after drinking my cup of water, there went my knee pain... I was at mile 2.50 - & it was BAD... worse then ever. I just teared up. What to do? I wasnt sure. I ended up walking to mile 3 & there was actually an ambulance there. I almost stopped & thought they could treat me & take me back to my car. But I ended up running (slowly) again & thought, "there will be another ambulance ahead" ... I know this because before a race, I STUDY a map. So my next goal was to the next ambulance... how sad is that? I kept on... & actually started doing fairly well. I ended up feeling FANTASTIC at mile 5-8. Literally, when I hit mile 5, it seemed like I just looked up there was mile 6...then 7.. I was on a roll... granted, it was still slow, but it was moving. Its funny too because I had my iPod on my running play list & the music was frustrating me because I couldnt keep up with the beat of it. So I switched it to shuffle on all my songs... I had so many Christian songs play... & I honestly think that's what pushed me these miles so well. 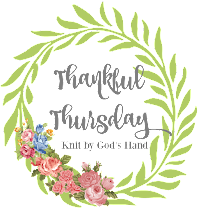 I had my man, Steven Curtis Chapman singing to me, had Skillet to rock out too - I literally was running with my hands in the air praising God during some songs... it made such a difference!!!! Got to mile 9 & then BAM - the pain kicked in again. I noticed that it was when I would extend my knee completely - straighten it. It would cause a sharp pain... so I ended up running with a totally bend leg... I think it messed me up a bit changing my form. My back started hurting. Then mile 10... another sharp pain. I knew I came too far to stop so I just made the choice to walk the rest. 3.1... a 5k... I can walk that at a steady pace & I just wanted to finish. I was making a decent time still walking - around 15:00/mile pace... but at that point, I've gone a long way & I was getting tired & the pain was wearing on me. The pain was the worst it ever was. I would have probably stopped if it were any other mile... but mile 12? Who stops at mile 12? I could even hear the bands playing to the finish line from there. I was determined. I kept hearing all the voices of every person who doubted me... of every put-down that I've ever heard my whole life... of the people who didnt expect me to finish... & it lit a fire in me & I kept my eye on the finish line. I dont even want to see that finish line picture ... I had my head down because of tears & the announcer even said, "Raise those hands up - be proud" ... I just raised my arms up but kept my head down. It was so overwhelming. I had a goal I worked on for 12 weeks... I wasnt going to let anything stand in my way. That goal pushed me to the end. & the fun thing... I now have more goals.. the running season starts in February. Bring on the races in February, March & my 5th Half Marathon in April!!!!! 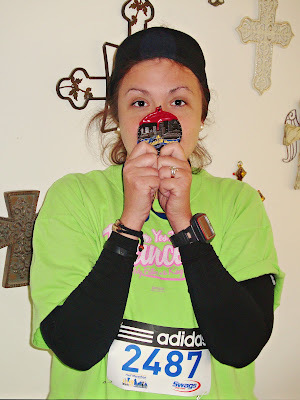 I cant believe I'm going to be 40 in December & I just ran my 4th Half Marathon... all in 3 years!!!! & FYI - after the race, I immediately went to the medic tent & got an ice pack & my knee now feels like it did when I started.... No extra harm done to it. Now, I can rest for a few weeks. The training starts back up in January! ... BRING IT ON! Hm, it all sounds wonderfully crazy! Do I say good job or do I question your sanity? You are truly an inspiration! I can picture all of it...great post. Congratulations - that's awesome! I felt like I was running along with you :-) I'm starting up with the races again and am doing a 5K here soon... not exactly a half-marathon, but I'll get there eventually! If it were easy, it wouldn't have meant so much. Congrats! Great job!!! So sorry your knee was hurting! Unfortunately, I can sympathize with you!!! You inspire me (almost) to train for a half marathon. I need to master a 10K first, I guess. I am so proud of you. I thought of you all weekend long. Now REST!!!! You deserve TEN medals for that girl! What a trooper you are! AMAZING! I'm tearing up reading this. WAY TO GO! That is awesome! Congrats! Way to reach your goal! Congrats! You did it and hopefully those knees are feeling better every day. I'm sorry, I really should have checked back with you this Saturday since I did know that you were running. You totally deserve that medal. I'm very proud of you.